we arrived at 1 a.m. and were given a little food package when we checked in we were shown to one of the worst rooms i have ever seen, with beds i wouldn't put my worst enemy in. we complained and we were given keys to one just as bad. as it was rather early in the morning and we had been travelling for hours and hours we decided to tackle the issue in the morning via the rep......success we got a decent room. The room and the hotel were kept very clean, all credit to hotel for this. the food in the hotel was not the best and we ended up eating out most nights well all but 3 nights actually! 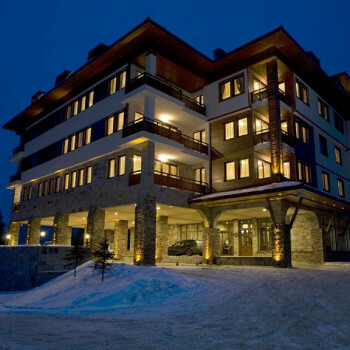 the hotel is right in the centre of the resort and really handy for the slope buses and other pubs and eateries. the noise at night can be very loud as the pubs are open to the small hours that is between 4 -6 am. so don't expect much sleep. the thomson/crystal rep was excelent, very helpful and seemed to be always there and available.